WILLIAMSPORT, Pa. – An efficient performance in the rain has helped Lycoming College seniorTyler Jenny (Glasgow, Pa./Glendale) earn his first career Middle Atlantic Conference Offensive Player of the Week award while junior teammate Mike Gentile (Havertown, Pa./Haverford) picked off two passes to earn his first MAC Defensive Player of the Week award, the conference office in Annville, Pa., announced on Sunday, Sept. 14. Jenny was brilliant while helping the 23rd-ranked Warriors to a 26-0 dismissal of Albright. In the process, Jenny improved to 17-5 all-time as a starter after going 17-of-25 for two touchdowns and 213 yards, as he became the eighth player in school history to reach 4,000 career passing yards. Jenny notched touchdown passes of 24 and 19 yards and helped the team convert 18 first downs. 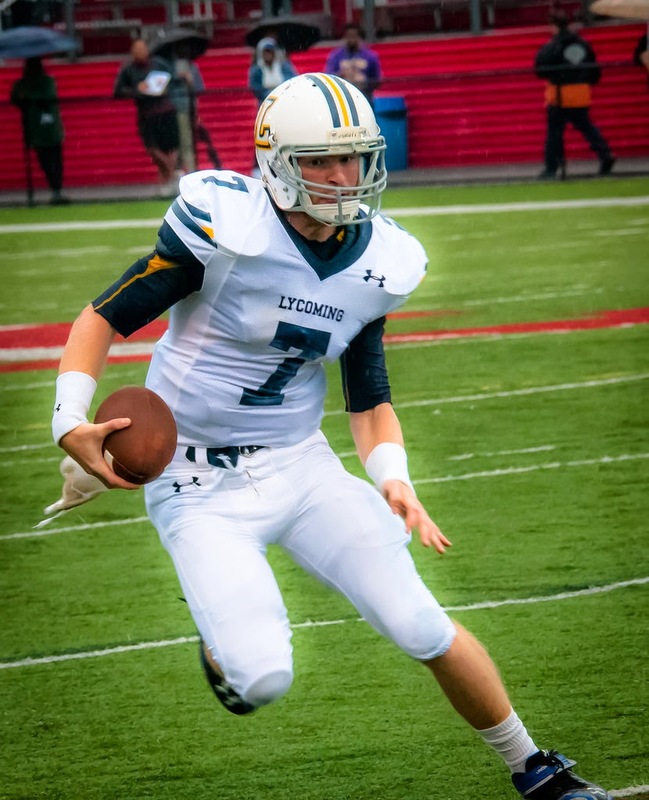 Jenny is the first Warrior quarterback to earn the MAC’s Offensive Player of the Week award since Glenn Smith won it on Oct. 15, 2005 and he is the first Warrior to earn the award since senior Craig Needhammer (Lansdale, Pa./North Penn) was named the player of the week on Oct. 6, 2013. 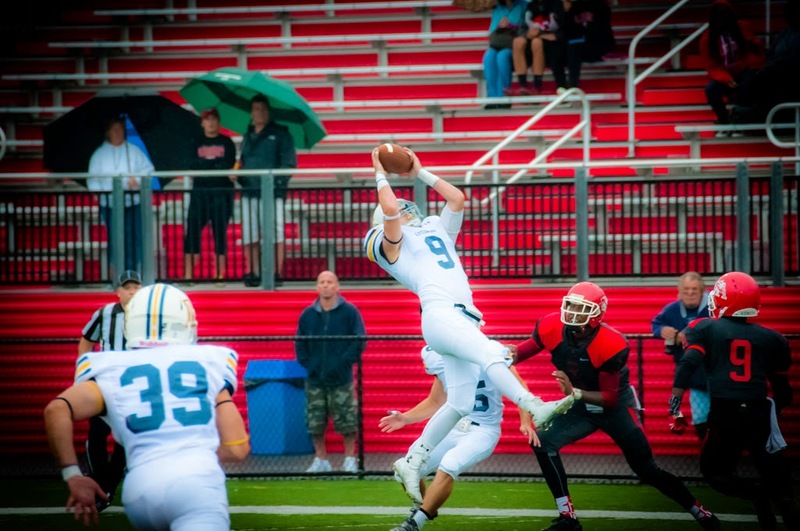 Gentile led the Warrior defense in just his second career start, as the safety notched two interceptions and added four tackles for the Warriors. Meanwhile, he was a part of a defense that tore apart the Lions’ offense, allowing just six first downs and 114 yards all game. Gentile is the first Warrior to earn the defensive player of the week award since senior safety Tanner Troutman (Hegins, Pa./Tri-Valley) won it on Oct. 6, 2013.